A rapidly growing Orange County-based scoop shop known for its made-to-order nitrogen ice cream and viral "OG Puffle cone" will open its first San Diego store this April. Cauldron Ice Cream is bringing its trendy creations to Kearny Mesa! Cauldron Ice Cream will be located at 4646 Convoy Street in the Kearny Mesa neighborhood, a local hotspot for new concepts and emerging food trends. The San Diego location is the first of three stores to open under Cauldron Collective, a franchise organization comprised of James Ho, Dan Nguyen, and Steven Cao. "First and foremost, we were drawn to Cauldron Ice Cream because we are huge fans of the product and the amazing brand culture the founders created," said James Ho, founder and CEO of Cauldron Collective. "We felt there was no better neighborhood for Cauldron’s entrance into San Diego than Kearny Mesa, with its large population of families, close proximity to three major universities, and existing community of restaurants that will complement the Cauldron concept well." Since its conception in 2015, Cauldron has gained national notoriety for its made-to-order liquid nitrogen ice cream served as traditional or rose-shaped scoops in a signature OG Puffle Cone - an egg-based waffle cone inspired by a popular Hong Kong street snack. 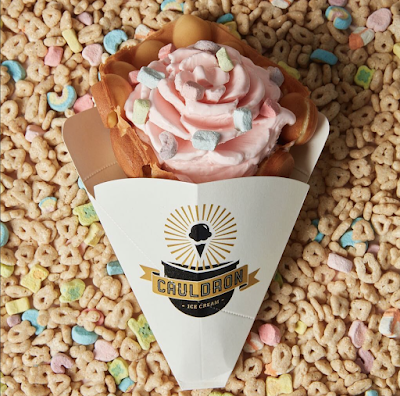 Cauldron’s creations have been recognized by Cosmopolitan, The Huffington Post, People Magazine, Food Network, and others for spearheading a new, trending ice cream craze. The concept’s small batch flavors include a mixture of unique mainstays, like Earl Grey Lavender, Milk and Cereal, and H20 Rose, while also offering seasonally rotating flavors to keep the menu fresh and intriguing. The San Diego store joins 4 other Cauldron Ice Cream locations - Santa Ana, Artesia, Glendale, and Chino Hills. The concept has 11 scoop shops pending in Irvine, Santa Clara County, and Toronto, with additional franchise deals currently in the works. 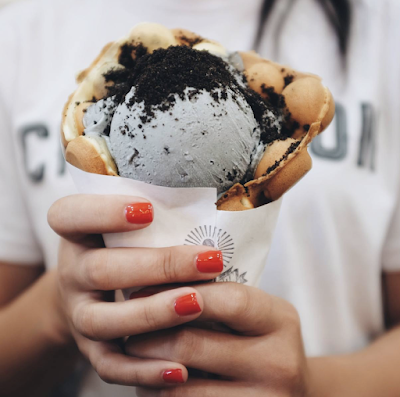 Cauldron Ice Cream is partnered with Fransmart, the franchise development company behind the growth of brands like Five Guys Burgers and Fries, The Halal Guys, and Qdoba Mexican Grill, as their exclusive franchise development partner to grow the brand. The concept is currently looking for experienced multi-unit foodservice operators to develop franchise territories in major markets. For more information about Cauldron Ice Cream, visit cauldronicecream.com.